Now it's time for some Hiatus Guest Art! 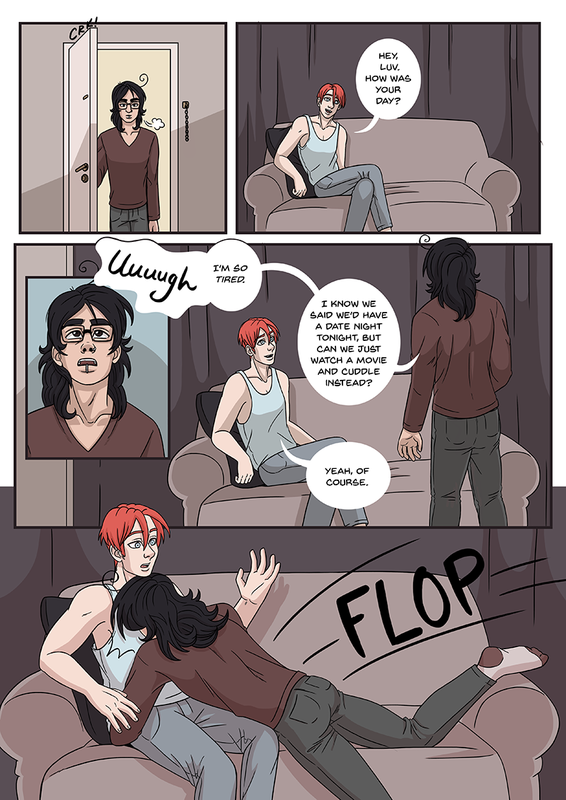 First is a cute 2-page-comic by Kaylee/Kayworx. "I'm Kaylee - Kayworx on most of the internet! 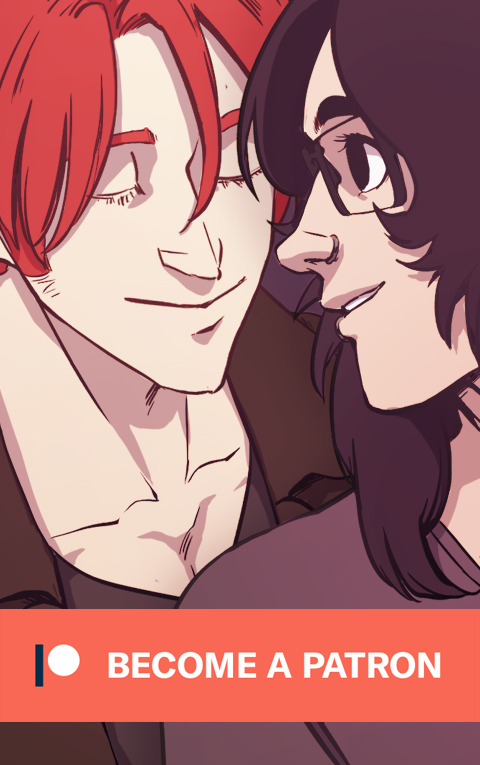 I make a comic called Until Sunset, which you can read on SmackJeeves, Tapas or LINEWebtoon! 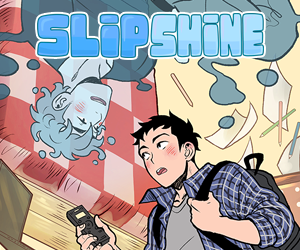 https://tapas.io/series/Until-Sunset It's about a guy that meets an injured merman on the beach and helps nurse him back to health, and is set in South Africa! In prep for this short comic I read over chapter 13 and 15 of Tranfusions again, and there was one bit where Dylan just wanted cuddles, and that stuck with me. So here's an extra dose for cuddles for Dylan! I hope you liked it! You can find me on Twitter at KaywroxX and Instagram at Kayworx <3"